"Life didn't begin cleanly, and it surely never ended that way. We were blessed with whatever we had in the middle. It made sense that it be messy, too." Sarah Dessen novels are basically a summer staple for me. I remember reading Saint Anything on a beach in Florida and The Moon and More while sitting in my hot backyard. It's not necessarily that she's my favorite author or anything, but there is something purely enjoyable about her coming-of-age tales. 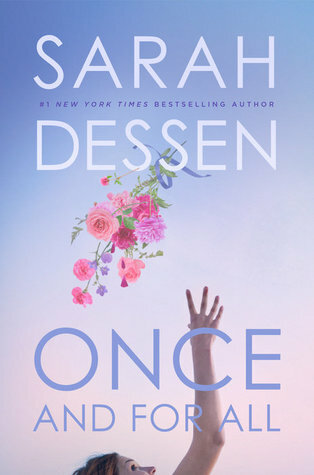 I immediately got my hands on a copy of Once and for All, and I'm so glad that I did. Honestly, not much happens in this book. There are no big adventures, no crazy heists or anything. It truly is just the story of one girl overcoming her heartbreak during a summer of helping out with her mother's weddings. As a daughter of a wedding planner, Louna is more than a little cynical when it comes to love that lasts forever (she's witnessed too many third marriages). It was interesting to watch her come to terms with her lost love, as well as with her charismatic co-worker, Ambrose. I won't lie, the whole wedding planner aspect of this novel made me even more excited for it. Just take one look at my Pinterest boards and you'll realize that I'm a little wedding crazy. I'm also a huge schedule and list maker, and some part of Louna and her mother's jobs really appealed to me. Plus, it lends such a great feel to the story. Obviously this isn't the first romance story to include the concept of a wedding planner who doesn't believe in love (*cough cough*J Lo), but it was a nice touch all the same. The romance is great, as always, but it's more than that. Dessen is one of those authors that makes you root for the characters themselves and as a couple. I wanted to see Louna learn to love again, and I wanted Ambrose to be appreciated for who he is. I wouldn't say that their relationship was amazing or anything, but it definitely brought a smile to my face. Louna is great. It's not that she's an unusual character or anything, but I didn't ever roll my eyes at her. Not once. When people say she's pretty, she doesn't deny it or act haughty, she just takes it in. When boys ask her out, she doesn't go on a long spiel about how boys never like her and she's so awkward blah blah blah. 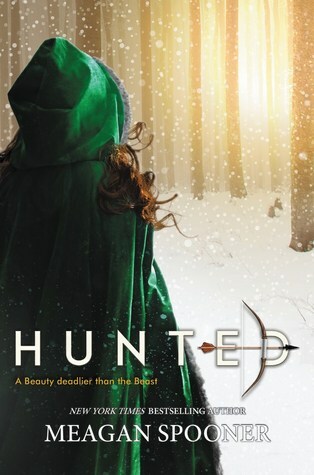 She's got a healthy level of self-confidence, and I think that's difficult to find often in young adult literature. Overall, Once and for All isn't going to break any boundaries or blow you away, but it's dang cute. I gobbled up every wedding detail and bit of flirtatious banter with gusto, and I'd wholeheartedly recommend this newest book to any Dessen fan.